Apart from Apple CarPlay and Android Auto which were already part of the package, the Smartplay studio, will let you listen to latest music, surf news, get latest updates on weather and locate eateries around. 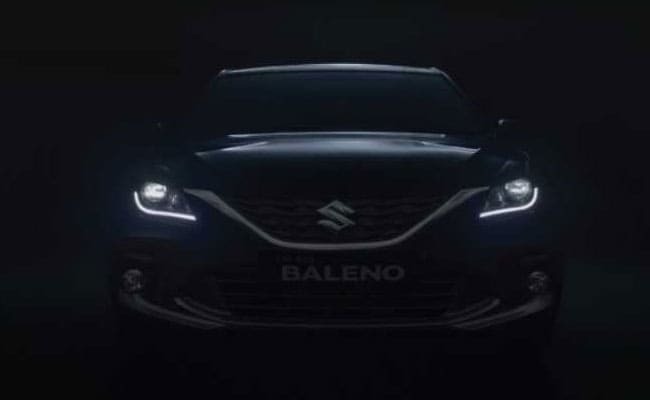 Maruti Suzuki is all set to launch the Baleno facelift in India and the company has already kickstarted bookings for the car in India for a token amount of ₹ 11,000. Set to receive its mid-life update after almost three-and-a-half years, the new 2019 Baleno is expected to come with several cosmetic and features updates. The biggest addition to the Baleno facelift will be the introduction of the Smartplay Studio, something that we've already seen on the new generation of the Wagon R.
The Smartplay Studio is an advanced infotainment system and now the Baleno will get it too. SmartPlay Studio will see the car get additional features. 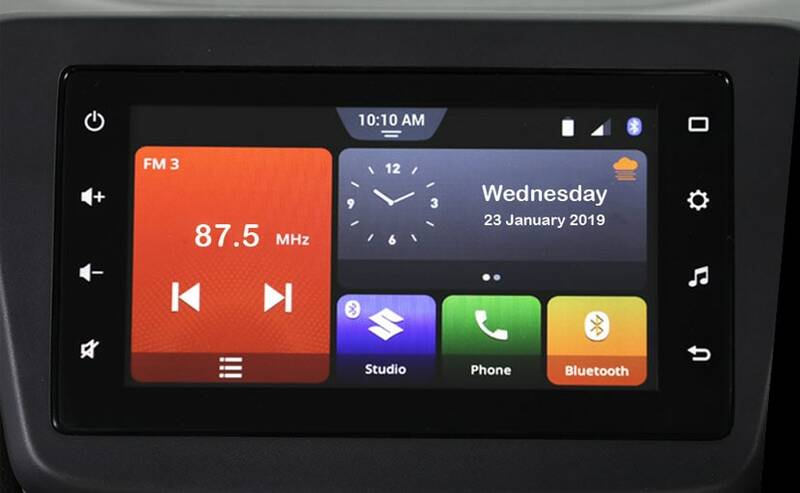 Apart from Apple CarPlay and Android Auto which were already part of the package, the SmartPlay studio, will let you listen to latest music, surf news, get latest updates on weather and locate eateries around. The 7 inch touchscreen system also gives the users the option of customizing the interface. It not only enhances your driving experience with multiple media support and navigation, but also informs you about your car's status via vehicle alerts. The company claims that the new Baleno will come with a bolder attitude, stylish design, and premium interiors. 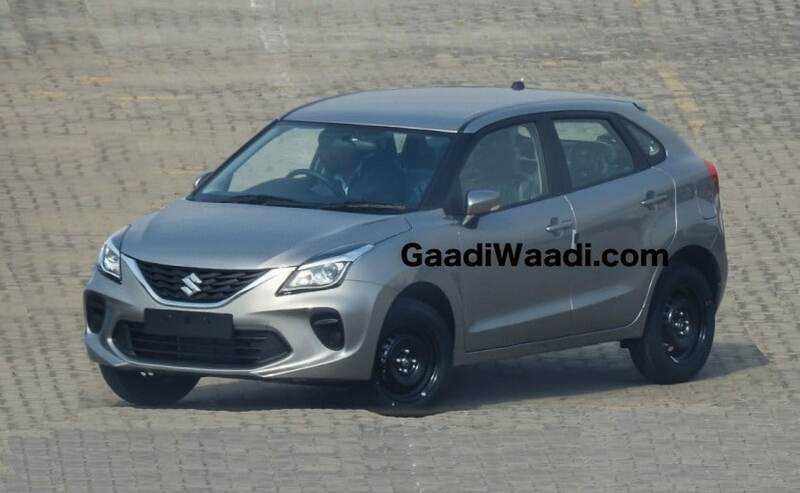 The new Maruti Suzuki Baleno facelift will come with a new and aggressive face, which based on the spy photos we know now comes with restyled grille and headlamps with a new bumper as well. The facelifted Baleno will come with a revised cabin with refreshed and more premium interior elements. Other visual updates will include new alloy wheels, revised taillamps and rear bumper among others. Maruti has also confirmed that the car will now come with improved safety features like speed alert system, co-driver seat belt reminder and rear parking assist sensors. On the other hand, the standard safety bits will include - dual airbags, child seat restrain system (ISOFIX), Pre-tensioner and force limiter seat belts and ABS with EBD. While the company hasn't mentioned details about the engine, it's very much likely that the 2019 Maruti Suzuki Baleno facelift will continue to feature the existing petrol and diesel engines. The 1.2-litre K-Series engine offers 83 bhp and 115 Nm of peak torque, while the oil burner offers 74 bhp and 190 Nm of peak torque. Transmission duties are carried out by a 5-speed manual gearbox and an optional CVT automatic transmission for the petrol unit.